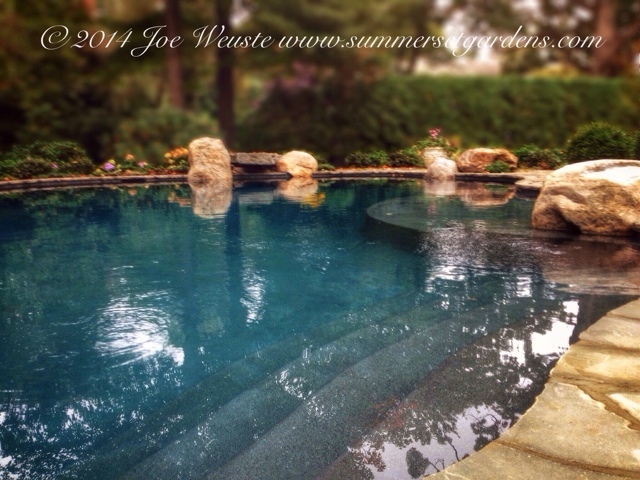 A simple inground swimming pool project that I designed and installed at a Westchester residence. 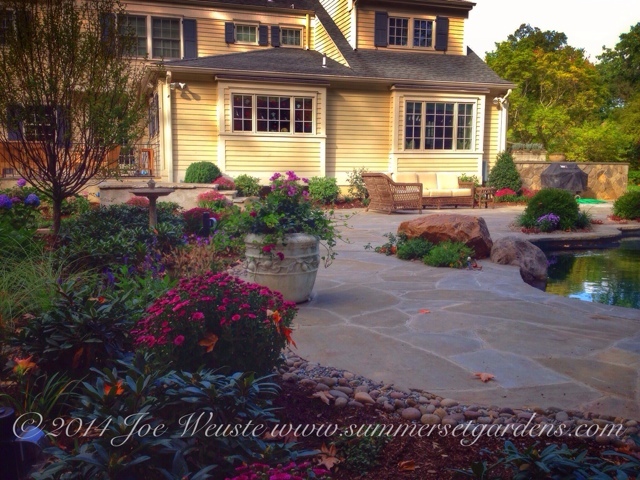 I used natural stone for the patio and pool coping. 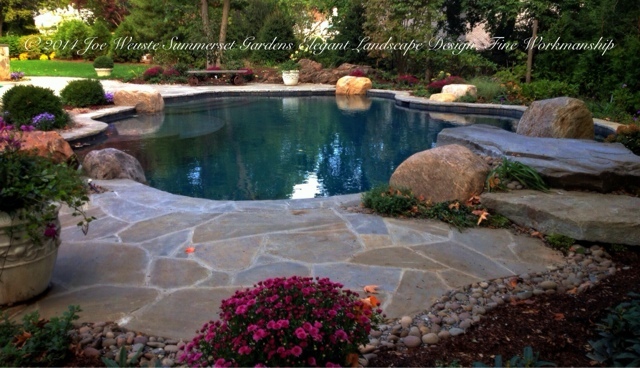 The darker pool water color and rock details help to naturalize the setting. The planting has just been installed. 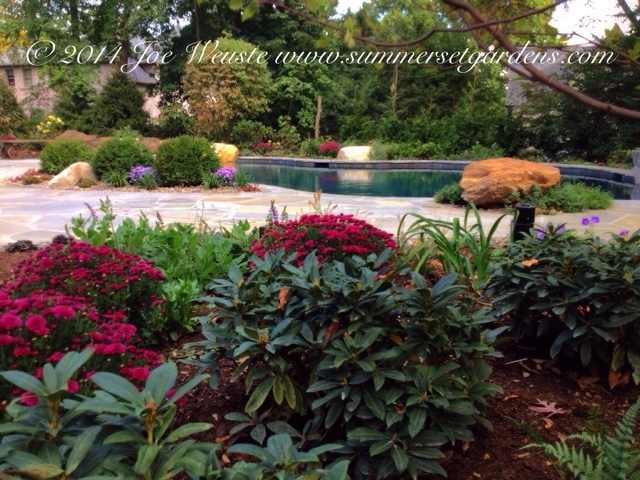 Next season the plants will grow in lush and will transform the space.